In the old days camping along the Gibb River Road was easy. You could pull up in many places, just about anywhere you liked. These days camping is strictly regulated. It's still not difficult to find a place to stop for the night. But you have to stick to the designated campsites. Luckily there are enough of them. Some are at gorges like Bell Gorge or Manning Gorge, others are at cattle stations like Charnley River Station or Mt. Elizabeth Station, to name just a few examples. 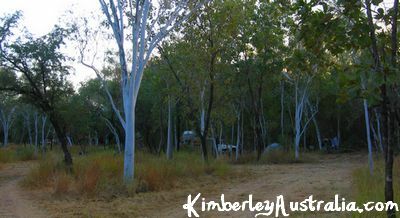 Basically, every major attraction along the Gibb River Road also has a campsite, if not right there then very nearby. Be careful, however, not to hit the road with outdated information. Some places along the Gibb, where bush camping used to be allowed, are now closed to campers, for example Adcock Gorge or the Barnett Gorges. 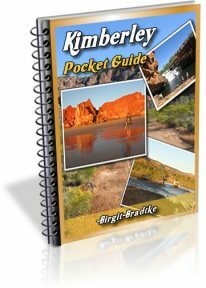 Below are all the designated campgrounds on or near the Gibb River Road, listed starting from Broome or Derby on the west coast, driving east in the direction of Kunuurra and Wyndham. As you can see, there is still no shortage of campgrounds along the Gibb! 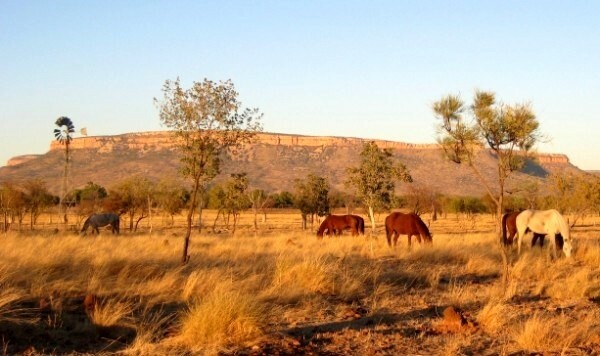 Birdwood Downs is a working cattle station close to the western end of the Gibb River Road. The focus of the property is on ecology and responsible environmental management. If you are interested you can learn a bit about those topics on the offered guided tours and gain insights into the day to day workings and the larger issues of the sustainable management of a Kimberley station. Birdwood Downs is also home to the "Kimberley school of horsemanship" and offers guided trail rides on the property. 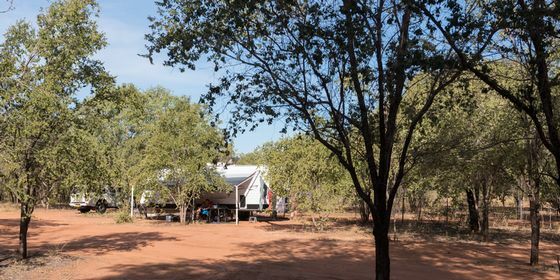 They also offer a small and quiet bush campground with a couple of sites for caravans, toilets, showers, drinking water and free use of the barbecue. 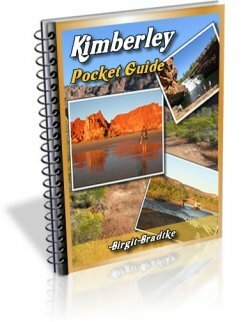 The campground at Windjana Gorge is managed by the DEC (Department of Environment and Conservation), just like all the other campgrounds in Kimberley national parks are (e.g. in the Bungles). 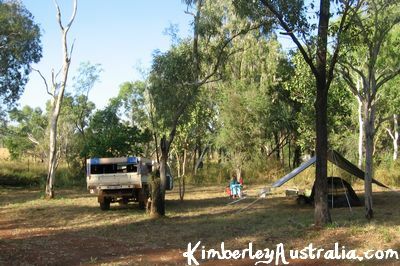 You should be able to access this campground with a 2WD and possibly even with a standard caravan during the dry season. 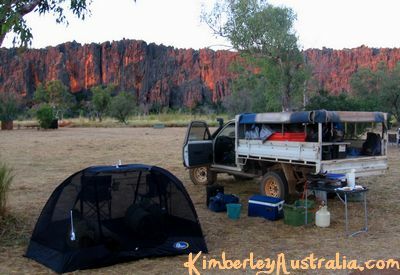 Read more about hiking and camping at Windjana Gorge National Park. Mount Hart Wilderness Lodge is accessed via a very scenic drive, winding and climbing through the Leopold Ranges. 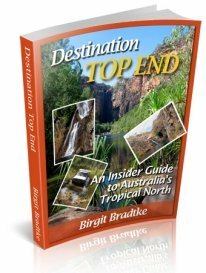 There is a lovely campground with good facilities, 800 m north of the homestead on the Barker River. Because of the rough access road to Mt. Hart, however, this is another campsite that's unsuitable for caravans. Read more about the attractions and camping at Mt. Hart Wilderness Lodge. Bell Gorge is part of the King Leopold Ranges Conservation Reserve. That means it is managed by the DPaW and so is the campground 10 km from the gorge, called Silent Grove. Read all about visiting and camping at Bell Gorge. A wonderful campground at a wonderful property, but well off the beaten track on an oftentimes rough track. (About 90 km off the Gibb River Road, strictly 4WD only.) If you decide to camp here, you should do so for at leat two nights. But beware that there are no powered sites and that generators are not allowed. Read more about the attractions, gorges and camping at Mornington Wilderness Camp. 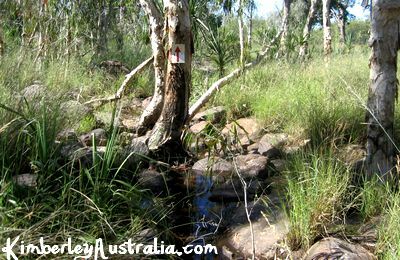 Previously (a long time ago, that is) known as Beverly Springs, Charnley River is another working cattle station on the Gibb River Road. This one is especially welcoming to tourists and as a result is pretty popular with travellers. The campground is not far from the homestead, very spacious and has good facilities. Note, however, that despite what some guide books may tell you, bushcamping at Grevillea Gorge is not possible any more! 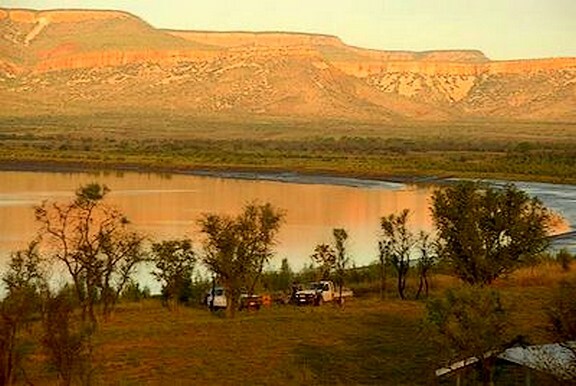 Read more about the gorges and camping at Charnley River Station. 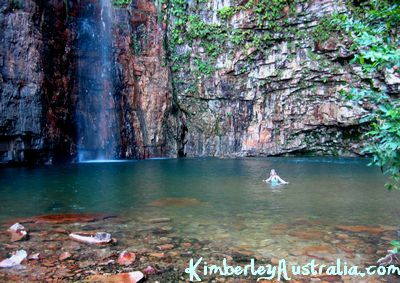 Read more about swimming, walking and camping at Manning Gorge. Mt. Elizabeth Station is most definitely a working cattle station. I feel Mt. Elizabeth Station has the most authentic character of all the cattle stations along the Gibb River Road that are open to tourists. 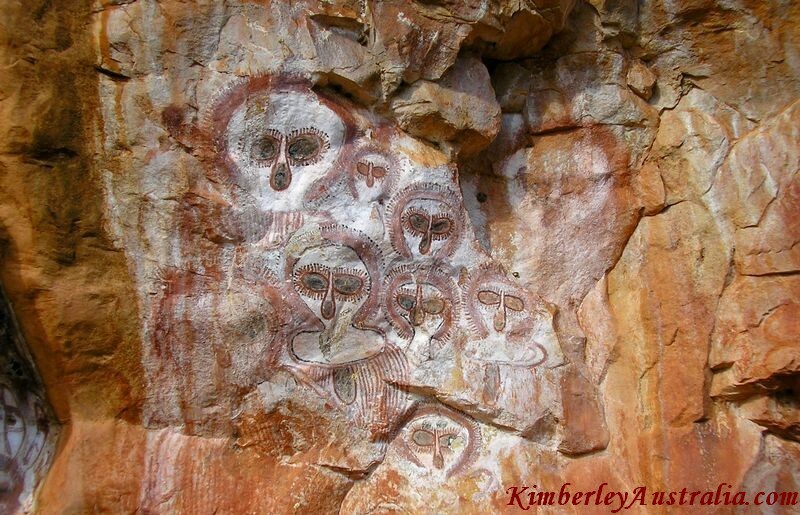 As you can see above, it also has some amazing Aboriginal art sites. Like the other stations, Mt. Elizabeth offers a spacious campground with good facilities. Read more about visiting and camping at Mt. Elizabeth Station. Drysdale River Station on the Kalumburu Road (the road to the Mitchell Falls) is 60 km off the Gibb River Road. Camping is possible either with facilities near the homestead, which even offers some powered sites, or you go bushcamping a couple of kilometres down the road. A little known bushcamp at a little known property. Both the homestead and the campgrounds, indeed the whole property, have lots of character and Kimberley pioneer flair. Ellenbrae does not have any spectacular gorges or other attractions so it's usually nice and quiet here. 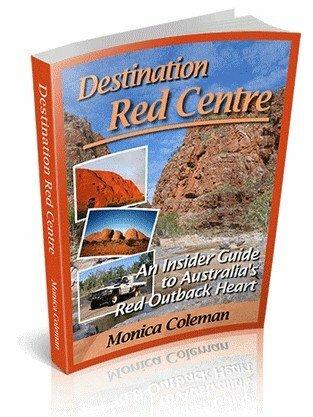 This large tourism venture is located just before the most famous river crossing on the Gibb River Road. Camping so close to the Pentecost River gives you the opportunity to get some stunning sunset shots of the Cockburn Ranges. There are two campgrounds at Home Valley. The campground near the homestead resembles a tourist resort much more than a cattle station. It also has that very rare thing along the Gibb River Road: powered caravan sites! 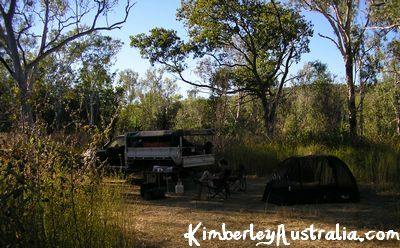 The "bushcamp" down at the Pentecost River has probably the best views of any Gibb River Road campground. There are no well known gorges or waterfalls on the property, but there is some great country (did you see the movie "Australia?") outstanding fishing, 4WDing, trail rides, great hospitality and home cooked meals. You can choose whether you want to camp with facilities or bush camp. 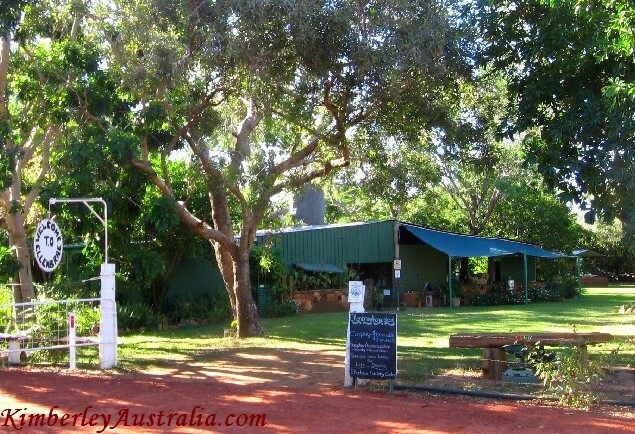 Like Home Valley Station, El Questro also offers a campground at the station township that has all the usual facilities and alternative bush camping sites down at the river. 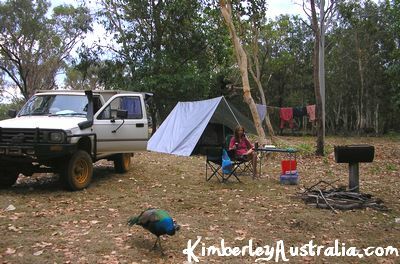 This is your last opportunity for camping on the Gibb River Road. From here it's only a good 30 km until you reach the highway between Kununurra and Wyndham, and there is no camping at Emma Gorge (pictured above).